What do you do when you love bears? Well, you dedicate a site where you collect images of cool looking bears! And that’s exactly what Mikey Burton did. This is great!!! 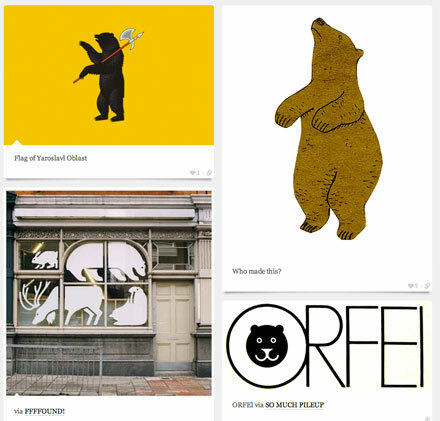 And it made me think of this project which was started by my friend Lizz: grizzlybearthursday…. This is great. I love bears. I love the bear in the top right corner!